For Russia the DPRK is not a normal state. The two facts that it is one of Russia’s nearest neighbors and it was founded by the Soviet Union exert unquestionable influence on the current thinking about this country among Russia’s political elite. 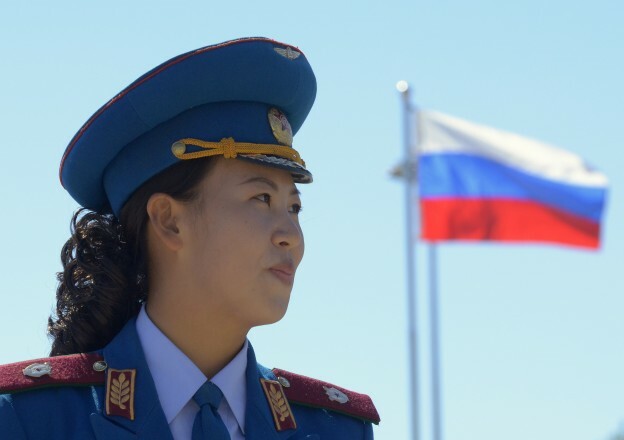 In this issue of the Asan Forum there is extended discussion in the Country Report: Russia of an August article by Evgenyi Bazhanov on Russia’s strategy toward the Asia-Pacific region. Reviewing how past strategy toward North Korea evolved, the article below emphasizes how strategic thinking in 2013 fits into current debates over Russia’s broader regional strategy. The DPRK was established by Stalin in 1948 within the scope of policies for extending the sphere of influence of “world socialism,” i.e., regimes subordinate to Moscow. While this victory of “socialism” was less notable than that in China, in that period it was all the same just the second “socialist” state in Asia. The idea of extending the authority of North Korea to South Korea was never abandoned by Stalin and those he put in power in Pyongyang, which was reflected in the eruption of the Korean War in 1950, which, as documents demonstrate, was begun with the direct approval of the Soviet leader. Over a long time the Soviet Union strongly supported the Pyongyang regime, which was close to it. The alliance status was strengthened with the conclusion in 1961 of the Soviet-North Korean treaty of friendship, cooperation, and mutual assistance, in which the two sides were bound by mutual obligations not to participate in coalitions, actions, or measures directed against the other, to consult on all important international questions touching on their interests, and, in case of need, to provide the other side without delay military and other assistance with all means at their disposal. Yet, some problems arose after the start of the Sino-Soviet split, when Pyongyang, not firmly supporting Moscow, began to maneuver between the two. Dissatisfaction with the Soviet Union led to a purge of the “pro-Soviet” faction in the DPRK leadership, with which Moscow decided not to quarrel, lest Pyongyang fully go over to Beijing’s side. Moscow kept extending substantial assistance while receiving practically nothing materially in return, but strategically it had an ally in the global confrontation with the United States, which it strove to keep from drawing too close to Beijing. After the death of Leonid Brezhnev, in the midst of a deepening economic crisis, Soviet policies turned more pragmatic. Many specialists—researchers and employees in economic organs—tried to turn the attention of the leadership to South Korea, as a very promising economic partner. They argued that Japan had moved far ahead of the USSR, but its businessmen, as seen then in their caution to the PRC, were very cautious about investing in unstable communist states. In contrast, South Korea not only was not so far ahead in economic development, moreover for political reasons, it might be ready to offer Moscow certain economic benefits. At that time the situation in the “Far East” did not improve, and in relations between the USSR and South Korea there remained, it seemed, an insurmountable obstacle, much more significant than the territorial problem with Japan. The North Korean regime would react vehemently to any Soviet gestures toward Seoul. Besides, when a Soviet military plane shot down a Korean civilian airliner the gap widened further with Seoul. Yet, when Mikhail Gorbachev transformed the geopolitics of the world, abandoning ideological conceptions and looking for economic partners, his acceptance of full independence for the states of Eastern Europe opened the way for them to establish relations with South Korea after rejecting communist ideology, which had earlier bound them to the North. As Gorbachev also deideologized foreign policy, the logic of developing relations with Seoul was that the USSR had too many internal problems to permit staying very active abroad and to pour resources into the troubled economies of ideologically close regimes. Foreign policy now had to create favorable conditions for reform and raising the living standards of the people. It followed that Seoul came to be seen as a more beneficial partner than Pyongyang, which symbolized all that Gorbachev wanted to escape in his utopian desire to establish humanistic and effective socialism distinct from the Stalin model, which had been borrowed by the “great leader” Kim Il-song. There is a basis to assume also that the political system of South Korea, combining strong authority with effective state controls over the economy was seen in the Kremlin as an example from which it could learn. The main reason for growing interest in the late 1980s undoubtedly was South Korea’s economic prosperity. Local governments and businessmen, who were given more autonomy by Moscow to trade in natural resources in order to acquire consumer goods, led the way, as pressure from the elite in Siberia and the Russian Far East on Moscow prepared the soil for normalization. After the fall of the Soviet Union, the new leadership turned foreign policy on its head, ending assistance to Pyongyang for ideological reasons, above all, and insisted on economic cooperation on a purely commercial basis, leading to a serious economic crisis in the North, as it developed economic ties with the South. Yet, as dissatisfaction grew with the policies of the West, Moscow shifted to a more balanced approach, weighing non-economic factors more after its interest in Asia had declined due to the pro-Western ideological and political orientation of Yeltsin’s Kremlin. In the late 1990s and especially after Vladimir Putin came to power, attention to Asia grew. On May 15, 2000, Putin declared, “Historically and geopolitically, the Korean peninsula always has been included in the sphere of Russia’s national interests.”1 In his book published that year, Foreign Minister I. S. Ivanov wrote, “In its policies toward the Korean peninsula, Russia starts from the need to support good-neighbor and partner relations with both Korean states.” 2 These remarks reflected a more active foreign policy with both sides with aspirations for stimulating inter-Korean dialogue. Support for the international regime against the proliferation of weapons of mass destruction is repeatedly affirmed as an official goal of Russian foreign policy. At the same time, Moscow’s reaction to one or another country acquiring or testing nuclear weapons depends greatly on relations with it and rarely is severe. For instance, taking into account the international situation and its own relations with India and Pakistan, Russia did not impose or propose any sanctions, just formally condemning the nuclear tests in those countries in 1998. Since that time, Russia only in a soft manner has recommended that the two states reject nuclear weapons. The understanding is spreading that new more active international actions are needed to prevent proliferation. Russia’s inclusion in international sanctions toward Iran and the DPRK, despite its tendency to weaken them, is the strongest reaction in its history to the fact of proliferation or its possibility. This is connected to three factors. First, as it officially declared, Russia as one of the most influential members of the nuclear club and a major world power bears special responsibility for maintaining world security and not tolerating efforts to undermine it through the proliferation of WMD. Second, Moscow well understands that countries that are acquiring or could acquire these weapons, above all Iran and the DPRK, are its neighbors, and their entry into the nuclear club creates a direct threat to the territory of Russia. Third, in connection with reductions in the fighting capacity of its conventional forces, nuclear weapons have become ever more important for Russia as a means of containment. Moreover, in conditions of reduced economic and political influence in comparison to Soviet times, nuclear parity with the United States remains the only attribute of a superpower, putting Moscow on a par with Washington. The spread of nuclear weapons significantly devalues Russia’s role and influence in the world. Moscow continues quite actively joining in the political process to resolve the nuclear crisis on the peninsula, condemning the DPRK’s rocket and nuclear ambitions, supporting international efforts in the United Nations on this question, as when North Korea in July 2006 launched rockets and in October of that year conducted a nuclear test. It took a direct hand in preparing Security Council resolutions 1695 and 1718, which applied sanctions and contained calls for Pyongyang to stop these programs, and also resolution 1874 (2009) and 2094 (March 2013) in which these sanctions were made harsher. In the negotiations on the conditions of sanctions, Russia, as China, usually tried to soften the sanction regime. This is linked to two factors. First, in the Russian leadership there is real fear that the sanctions will lead to an uncontrollable breakdown of the North Korean regime. In that case, Russia, as a neighboring state will face a whole range of problems, from the possibility of a nuclear threat caused by North Korean nuclear weapons falling into the hands of uncontrolled groups to a massive flood of refugees onto its territory. To these problems one can add that military actions on an even larger scale could occur on the peninsula. Second, within the ruling elite there still exists strong emotions from the time of the Cold War, in accord with which the DPRK is, whether irresponsible or not, a partner in confronting attempts by the USA and its allies to dominate Asia. From this point of view, its complete disappearance from the map of the world is seen as harmful. In this way, for Russia, the maintenance of security and stability in East Asia is not only a purely foreign policy goal, it is directly connected with the resolution of an internal strategic question—the development of its Far Eastern regions. Russians express concern that in this region contradictions are intensifying between traditional and newly rising players, but there is lacking an all-encompassing system of security, as exists in Europe. Thus, Russia aims not to create a new structure on security in the region, such as the OECD, but to work out some principles on the basis of the experience of the existing structures. Yet, none of these directly covers Northeast Asia. During the course of the Six-Party Talks Russia had big hopes for working out measures for security in Northeast Asia for the working group it headed on a mechanism for peace and security. It assumed that after resolving the Korean nuclear problem this group could turn into a continuously functioning mechanism in support of security in this region important for Russia. The interruption of these talks naturally buried these hopes. Russia insistently calls for the continuations of the Six-Party Talks, seeing in them not only a means for resolving a concrete problem, but for a wider perspective in support of security in Northeast Asia as part of the future structure of security in the Asia-Pacific region as a whole, in which it could play the leading role. Of course, Moscow would welcome any resolution of the North Korean nuclear problem, including direct negotiations between Pyongyang and Washington; however, the six-sided mechanism would be most desirable in all respects. The majority of experts note that unification is a matter for the distant future, since the governments of both Korean states using nationalist slogans for propagandistic aims, in fact, fear unification. They remark that since unification, more likely than not, would proceed in the form of South Korea swallowing the North, as was the case, for example, in Germany with the West absorbing the East, the North Korean elite is fearful of losing their power and privileges and even of being charged with crimes against their nation. The South Koreans do understand that unification with such an extremely backward state would require enormous outlays and, possibly, lead to political and social instability.23 It is also noted that unification would hardly be allowed by China, not willing to lose a “socialist” ally and gain in its place a rather strong economic and geopolitical competitor.24 Only a small percentage of experts with the most pro-West and anti-North Korean attitudes consider that the crisis in the DPRK is so deep that unification can occur in the near future. There are, however, some doubters on whether a unified Korea would be useful for Russia.25 Above all, these are politicians and experts close to communists and nationalists, who do not want to lose one of the last fortresses of world communism and a determined battler with the hegemony of the West. As a model of unification, should it happen all the same, they suggest various forms of confederation and speak of the need for unity through a new state which would include both the South and the North. During the crisis the leaders of the Russian Foreign Ministry met several times with the ambassador of the DPRK and communicated to him their concern, and there were issued several rather sharp statements. In the ministry an around-the-clock watch was set up, answering to the Korean desk. Efforts were taken with partners in the Six-Party Talks to coordinate the Russian position.27 During a meeting with Secretary of State John Kerry in London on April 10, Lavrov publicly expressed full solidarity with the American position. The results of the talks in June of Chinese leader Xi Jinping with President Barack Obama when Xi was in the United States and with the new South Korean president Park Geun-hye were positively evaluated in Russia. In both cases positions on the DPRK drew closer and there was agreement on joint actions for relaxing tensions and, probably, they agreed on measures to pressure Pyongyang. In the future Russia welcomes an easing of the situation and the beginning of talks between the DPRK and the ROK. On the whole, Pyongyang’s behavior was once again interpreted in Russia as an attempt to “sell” a threat for material assistance. However, the very unusual depth of the crisis and the danger of the situation, probably, strengthens skepticism in Moscow toward its former ally and will contribute to some movement in the Russian position in the direction of a tougher posture toward the DPRK. 1. V.V. Putin, “Vystuplenie na tseremonii vrucheniia veritel’nykh gramot, http://194.226.80.159/events/33.html. 2. I.S. Ivanov, Novaia Rossiiskaia diplomatiia: deciat’ let vneshnei politiki strany (Moscow: Odma-press, 2001), 158. 3. I.S. ivanov, Novaia Rossiiskaia diplomatiia, 158. 4. Vneshnepoliticheskaia i diplomaticheskaia deiatel’nost’ Rossiiskoi Federatsii v 2007 gody: Obzor MID Rossii март, 2008, www.mid.ru. 5. “Rossiia spisala KNRD dolg v 11 milliardov dollarov,” September 12, 2012, http://grani.ru/Politics/Russia/m.206508.html. 6. “Interv’iu Posla po osobym porucheniiam A. A. Timonina gazete Kommersant,’” November 30, 2011, http://www.mid.ru/bdomp/ns-rasia.nsf/1083b7937ae580ae432569e7004199c2/c32577ca00174586442579590022c7ab!OpenDocument. 7. “KNDR: strana bol’shikh vozmozhnostei i narodnogo edunstva,’ K.K. Taisaev o svoei poezdke v Severnuiu Koreiu,” August 8, 2013, http://kprf.ru/international/new-world/121626.html. 8. Leonid Ivashov, “Severnuiu Koreiu ne slomit’,” Леонид Ивашов, http://www.pravda.ru/video/pravdablog/11695.html. 10. TV Channel 1, “Sudite sami” Program, October 12, 2006 (Transcript), http://www.nemtsov.ru/?id=705032&PHPSESSID=1d417e1d4e584dafaacf40b173cc3626. 11. Zaiavlenie Amurskogo regional’nogo otdeleniia partii ‘IaBLOKO,’” February 12, 2013, http://www.eco-nomos.ru/2013/03/yabloko-11/. 12. Channel 1, “Sudite sami,” October 12, 2006, http://www.nemtsov.ru/?id=705032&PHPSESSID=1d417e1d4e584dafaacf40b173cc3626. 13. Аleksandr Vorontsov and Vladimir Evseev, “Severnaia Koreia: vyiti iz tupika,” Rossiia v global’noi politike, no. 5 (Sept.-Oct. 2005), http://www.globalaffairs.ru/number/n_5751; and “KNRD gotova poiti po puti Kitaiskikh reform, http://www.nakanune.ru/articles/16782/. 14. Аleksandr Vorontsov, “O prichinakh krizisa na Koreiskom poluostrove,” April 4, 2013, http://www.fondsk.ru/pview/2013/04/11/o-prichinah-krizisa-na-korejskom-poluostrove-19996.html; See also, Aleksandr Zhebin, “KNDR ne khochet sud’by Livii, http://rus.ruvr.ru/2013_05_22/KNDR-ne-hochet-sudbi-Iraka-i-Livii/. 15. “Pkhenian stremit’sia v ‘iadernyi klub,’” April 23, 2013, http://rus.ruvr.ru/2013_04_23/Phenjan-stremitsja-v-jadernij-klub/; See also V.I. Denisov, “Koreiskaia iadernaia problema: vozmozhnosti politicheskogo uregulirovaniia sokrashaiutsia,” Analiticheskie zapiski nauchno-koordinatsionnogo soveta po mezhdunarodnym issledovaniiam MGIMO(U) MID Rossii, 8(20), September 2006. http://www.mgimo.ru/files2/y12_2011/216762/az-20.pdf. 16. “Voiny ne budet, idet bor’ba elit,” Gazeta.ru, April 11, .2013, http://www.gazeta.ru/politics/2013/04/11_a_5252037.shtml. 17. “Kommentarii ofitsial’nogo predstavitelia MID Rossii A. K. Lukashevich po situatsii na Koreiskom poluostrove,” April 4, 2013, http://mid.ru/bdomp/ns-rasia.nsf/1083b7937ae580ae432569e7004199c2/44257b100055e10444257b43004608bc!OpenDocument. 18. “Vystuplenie Ministra inostrannykh del Rossiiskoi Federatsii S.V. Lavrova na plenarom zacedanii 6-go Vostochnoaziatskogo sammita, o. Bali, Indoneziia,” November 19, 2011, http://www.mid.ru/bdomp/ns-rasia.nsf/3a0108443c964002432569e7004199c0/c32577ca001745864425794d00328e92!OpenDocument. 19. “Vystuplenie Ministra inostrannykh del Rossii S.V. Lavrov na plenarnom zasedanii 7-go Vostochnoaziatskogo sammita, Pnompen’, November 20, 2012 goda,” http://www.mid.ru/bdomp/brp_4.nsf/997e7b027bbf661cc3256f6d00540731/5fcfa53c9c52b32244257abc003a55e6!OpenDocument . 20. “Vystuplenie zamestitelia Ministra inostrannykh del Rossii I.V. Morgulov na zasedanii 27-go Aziatsko-Tikhookenaskogo ‘kruglogo stola’ po bezopasnosti,” Kuala-Lumpur, June 5, 2013, http://www.mid.ru/bdomp/ns-rasia.nsf/3a0108443c964002432569e7004199c0/44257b100055e10444257b82003e03d0!OpenDocument. 21. “U.S., Japan, Russia on Reunification: Good!” The Wall Street Journal, August 18, 2013, http://blogs.wsj.com/korearealtime/2011/04/08/u-s-japan-russia-on-reunification-good/. 22. S.V. Khamutaeva, “Problema ob’edineniia Korei v Rossiiskoi istoriografii,” Vestnik Buriatskogo gosuniversiteta, no. 8 (2010): 252-55, http://www.bsu.ru/content/pages2/1073/2010/HamutaevaSV2.pdf; Alexander Lukin, “Russia’s Korea Policy in the 21st Century,” International Journal of Korean Unification Studiesn 18, no.2 (2009): 43-46. 23. Andrei Lankov, “Tsugtsvang Pkhen’iana: Pochemu Severnaia Koreia ne poidet Kitaiskim putem,” Rossiia v global’noi politike 11, no. 2 (2013): 187-97, http://www.globalaffairs.ru/number/Tcugtcvang-Pkhenyana-15962. 24. “Komu nuzhna edinaia Koreia?” Radio “Golos Rossii,” August 16, 2010, http://rus.ruvr.ru/2010/08/16/15981397/. 25. Konstantin Asmolov, “Ob’edinenie Koreia—kakie problemy stoit ozhidat’, Part 2,” NEO, April 15, 2013, http://ru.journal-neo.org/2013/04/15/korean-unification-what-problems-should-we-expect-part-2/. 26. “Otvety Ministra inostrannykh del Rossii S.V. Lavrov na voprosy telekanala RTVi po situatsii vokrug KNDR,” Moscow April 9, 2013, http://www.mid.ru/bdomp/ns-rasia.nsf/1083b7937ae580ae432569e7004199c2/44257b100055e10444257b480053cba3!OpenDocument. 27. “Replika Ministra inostrannykh del Rossii S.V. Lavrov v otvet na vopros SMI otnositel’no situatsii vokrug KNDR pered nachalom vstrechi s Gossekretarem SshA Dz. Kerri,” London, April 10, 2013, http://mid.ru/bdomp/ns-rasia.nsf/1083b7937ae580ae432569e7004199c2/44257b100055e10444257b49005aba8c!OpenDocument.